Kindergarten Orientation Info. Click here! We had a fantastic week last week celebrating Read Across America! Although we missed one day because of the snow, we were still able to fit in all of our fantastic activities. On Tuesday, all of our classrooms had a community guest reader. Everyone from police officers to our high school principal entertained students with a story. On Wednesday, all of our students participated in STEM activities and worked on thinking like engineers using the Engineering Design Loop. On Friday we had our first annual Vocabulary Parade! It was truly amazing to see students dressed up in homemade costumes for a range of words from ‘neon’ to ‘entrepreneur’. Every costume was creative and unique. We had a blast parading around the school. Kindergarten led the way and we finished with fifth grade. It was truly a special morning. We ended the day with a Community Meeting. It kicked off with a Readers’ Theater – one of the best we’ve ever had! The children and staff worked for weeks to prepare, and it showed. We watched a video (HERE) about the benefits of being a reader, and I read “Same, Same, Different” to the students and talked about using books as windows and mirrors to learn about ourselves and the world. We wrapped up with a visit from the Bobcat and announced that Ms. Yellen’s class won the prestigious Bobcat Award! You can see pictures from the week HERE. We have had an exciting, busy four day week at Burnet Hill! Last night was our chorus, band, and orchestra concert. We even had a special performance by our Bucket Drummers! All of the students did a fantastic job. Thank you to Mrs. Slater and Mr. Rudd for preparing a fantastic program. All of the performers had a “dress rehearsal” during the day, which our other students attended. Please ask your child about the concert; it’s always exciting to expose the students to various genres of music, instruments, and performance styles. Our Kindergarten students are preparing for their upcoming penguin show! They have been studying about penguins, learning special facts, and writing, writing, writing! They have also been having “dress rehearsals” for various classes in the school and are almost ready for their big day! Our first graders had an exciting writing celebration. They published their narrative pieces and were able to read them to peers in other first grade classes. It is always an exciting feeling to have an audience read our writing! I also enjoyed visiting fifth grade math centers this week. Students were engaged in a variety of differentiated centers to learn about equivalent fractions. Some students utilized one of our online resources, Freckle, while other students used manipulatives to explore these concepts. Don’t forget to sign-up for our Skating Party on February 9th through the HSA website. Have a great weekend and we hope to see you at Annie Jr. tomorrow! Happy New Year! We are off to a great start to the week at BHE. We began our week with a whole school Community Meeting. We reviewed school-wide expectations for various locations within the school. We also watched a Disney Pixar Short (found HERE) and discussed how and why we should always treat others with kindness. Lastly, we had a performance from our cast of Annie Jr before we announced Ms. Clark’s class as the Bobcat Winner for this month. Please be advised that you can purchase Annie Jr. tickets HERE. I would also like to welcome a new face to Burnet Hill, Ms. Iona Santa Cruz, who is our new Head Secretary. Iona comes with several years of experience and has already been a shining face in the Main Office. Please come by and say ‘hello!’. I would also like to welcome Sara Lancellotti as our new AM ESL teacher. Welcome, Sara! Just a gentle reminder that we have a SEPAC (Special Education Parent Advisory Group) meeting tomorrow night at 6:45 before the HSA meeting. There will be a presentation from one of our school’s OTs, Jessica Kashanian. We hope to see you there! We are looking forward to a great month filled with learning and friendship. Stay warm and follow us on Twitter! We had a great week at Burnet Hill! We had a successful Pajama Day, in which we raised pajamas for the Pajama Program. We celebrated at our monthly Community Meeting, where we listened to a book read by our ELA Supervisor, Ms. Baxter. We also watched a performance from our school’s Bucket Drum Club and had a visit from the Bobcat! Ms. Bachrach’s class won the prestigious Bobcat Award! Please note that the parent portal opened at 3pm today to receive report cards in grades 1 through 5. Please mark your calendar! We will be having a SEPAC meeting on January 8th at 6:30, before the January HSA meeting. SEPAC standards for Special Education Parent Advisory Group. During our meeting, we will have a short presentation from one of our school’s Occupational Therapists, Jessica Kashanian, about supporting OT needs with home-based, everyday activities. We will also share the celebrations of BHE’s special education programs. Friday, December 21 will be a partial day for students. The Board of Education approved this calendar change at its 12/10/18 meeting and also committed to providing supervision for grades K-5 until the end of the regular school day for those families who cannot arrange to pick up their child/ren early. In order to make the accommodations for this supervision, you need to call our main office and sign up by Monday, December 17th at 3:00 p.m. Students must be signed up in order to stay at school from 12:15 – 2:40 p.m. on Friday, December 21. Those students that stay on the 21st will need to bring a bagged lunch. We have been having a great week at Burnet Hill! We are gearing up for our annual Pajama Day next week! Any child who donates a pair of pajamas can wear PJs on Wednesday, December 12th. We will count how many PJs we collecte and celebrate at our monthly Community Meeting! Last week at our Community Meeting, Ms. Santos’ class won the prestigious “Bobcat Award” for demonstrating exceptional behavior in their related arts classes. We also read our “Pass Along” story – in which every class in the school added a sentence or two to create a group story. We are all authors! Students also learned how to use “I messages” to help them resolve conflicts with peers. We also watched videos from one of our favorite inspirational sources – Kid President! It was a wonderful get together with the entire school community. This week, students have been making crafts bags for children in local hospitals. They decorated bags and filled them with a variety of craft items. We also received word that the Burnet Hill community raised over 1,000 books this fall for the Reach out and Read Program. Thank you for all of your donations! As always, please follow us on Twitter HERE! We had a fantastic week at BHE! Many of the classrooms participated in activities surrounding the Thanksgiving holiday. Our Kindergarten students put on an adorable Thanksgiving show with a variety of songs and dancing. Siblings and parents enjoyed it, from start to finish! The children then went back to their classrooms and participated in a Thanksgiving feast. Our first grade students had a variety of centers, in which they learned about Native American activities, including making games, baking bread, and dyeing clothes. Second graders read “Balloons Over Broadway” and participated in a STEM challenge to make their own parade balloons. Third graders received a “budget” and created a Thanksgiving day menu. Students were busy learning, exploring, and collaborating with peers. Please check Twitter for plenty of pictures! 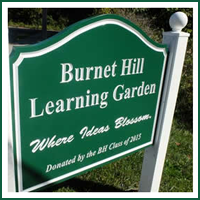 I also wanted to take a moment to thank you for all that you do to support Burnet Hill! Between the participation in the HSA, collaborating with teachers, and supporting your child at home, you are an integral part of the Burnet Hill community. I am thankful to be a part of this wonderful school that has such an amazing student body, families, and staff. Please enjoy your Thanksgiving and time with your families! It is hard to believe we have finished 11 days of school! All of the faculty and staff have been working hard to welcome your children, create a warm and caring classroom community, and begin the routines of academics. Last week we came together as a school community through a Committee Meeting. During the meeting, students were reminded of our kindness initiative and watched Kid President’s video – 20 Things We Should Say More Often. You can watch it HERE. Students were also informed that grade 2 through 5 students will have the opportunity to enroll in “Theater School” this fall and put on a production of Annie Jr. We also had a visit from the Bobcat! Many teachers have also been implementing Morning Meeting as a classroom community building activity. Students spend time “greeting” one another, so that each child feels welcomed into the classroom environment. Students then participate in a team building, engaging activity. Students also spend time sharing and learning about one another. Lastly, students read a Morning Message that informs them about their upcoming day. Reminder: Picture Day is October 2nd!